from the Second World War, and a further 43 graves of personnel who died on active service. 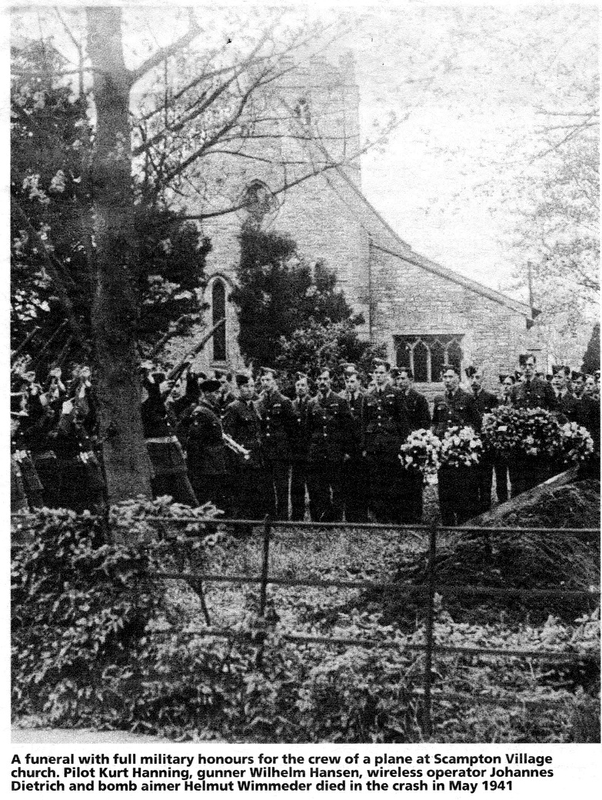 During the Second World War there was a Royal Air Force Station at Scampton, and in the early months of the war a plot of land lying to the right of the church entrance was set aside for the burial of servicemen. 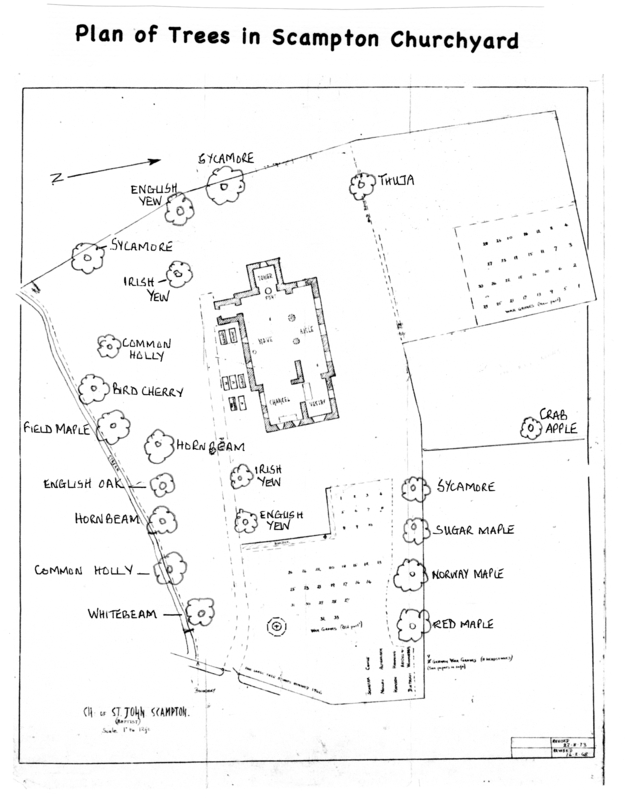 In 1941 it became necessary to reserve further ground for this purpose and a plot in an extension of the churchyard north of the church was used. The war graves in this burial ground are therefore in two sections and these are linked by a footpath. 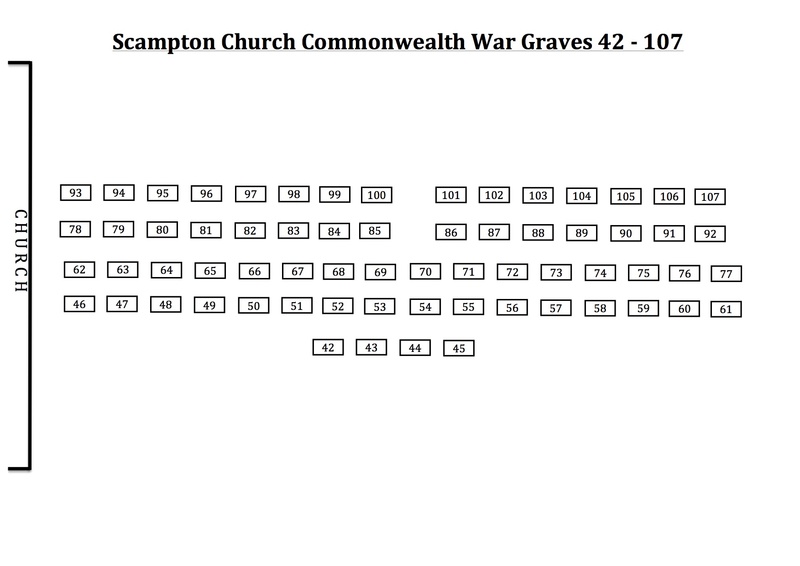 A research project by members of Scampton church intends to map and document as much personal information relating to each of the service personnel buried here. Every year Scampton Church receives hundreds of visitors who come to wander up and down the rows of headstones, stopping to read the names and are saddened by the loss of so many young men. Members of Scampton Church Family have risen to the challenge to find out more about each and every one of them. We are searching for their stories, about their lives and photographs that will put a face to the name which is engraved on their headstone. We realise that this may take a long time, but we hope to encourage you to take part. These men deserve to be remembered. Run the cursor over the names below to follow the links to the research so far. If you would like to help out with this project then please contact us. 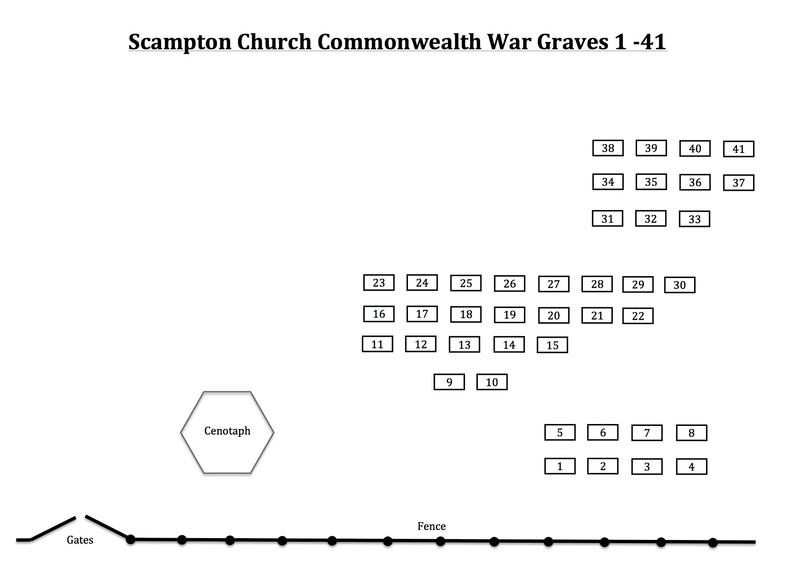 The National Churches Trust has included Scampton Church in its 'Lincolnshire Remembers' project which is associated with the International Bomber Command Centre, Lincoln. Our church page on the website includes a feedback section. We encourage you to leave your comments. A book relating to the white military headstones in the churchyard is available from local bookshops and online retailers ('Slightly Below the Glide Path - RAF Scampton' by Brian Mennell and Gary Mennell. Fox 3 Publishing York. ISBN 978 0 9566319 0).